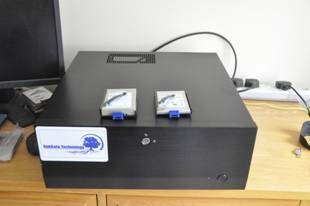 Desktop Storage Test Platform together with an optional 4-Bay U.2 Plug-In Module. recently been published and can be viewed by clicking here. Enterprise Storage Test Platform, itself. platforms and you can visit their website by clicking here. the devices under test (DUTs). 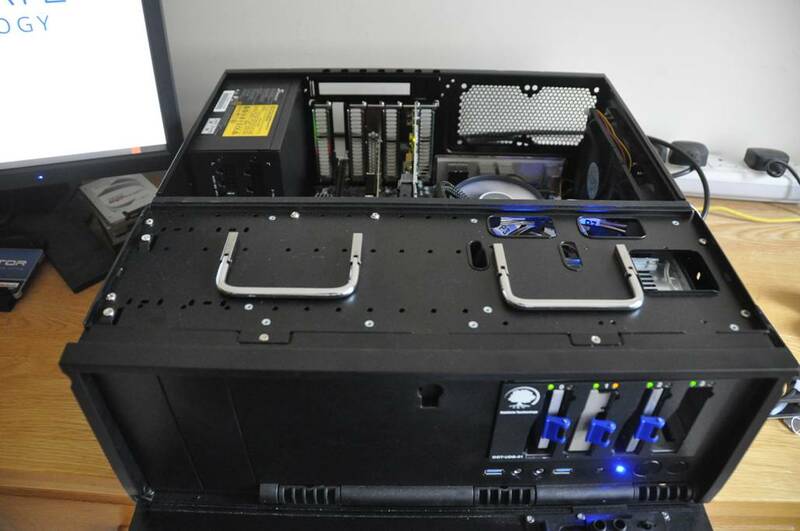 Linux-based desktop or rack-mount system. 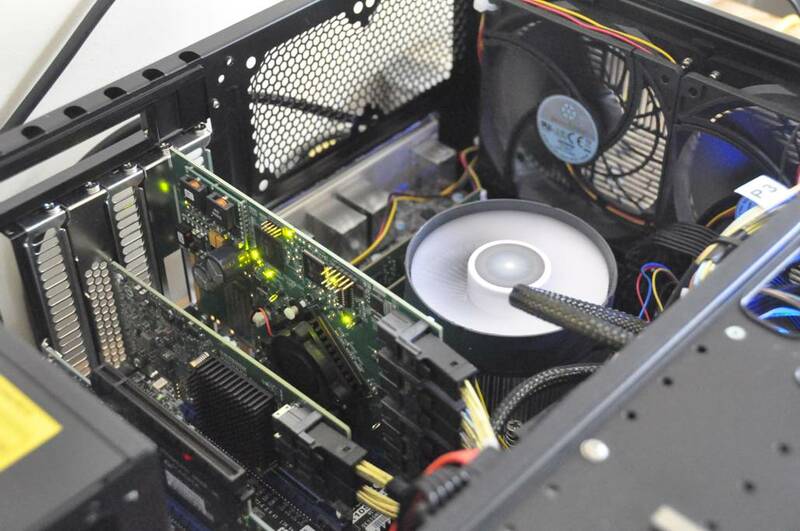 backplane, a plug-in module or in an OakGate supported external enclosure. DUTs such as SSDs and HDDs. Plug-in Module with three SSDs installed. with its top cover removed. 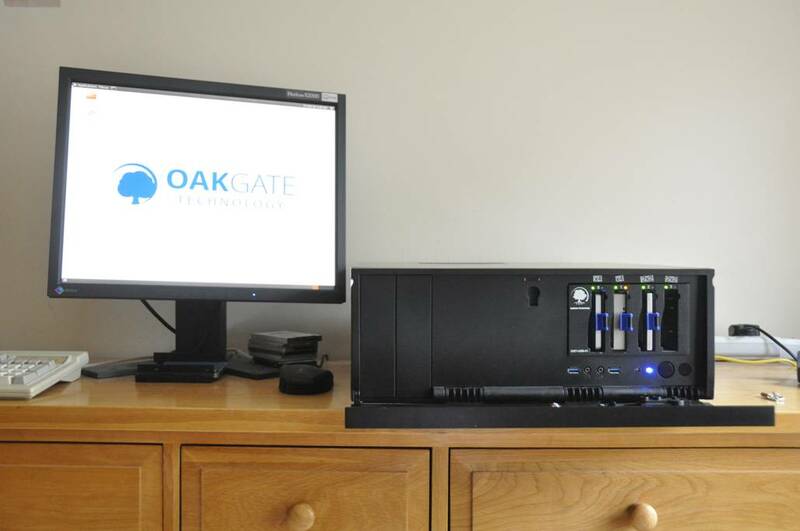 This photo shows an OakGate 4-Bay U.2 Plug-in Module. 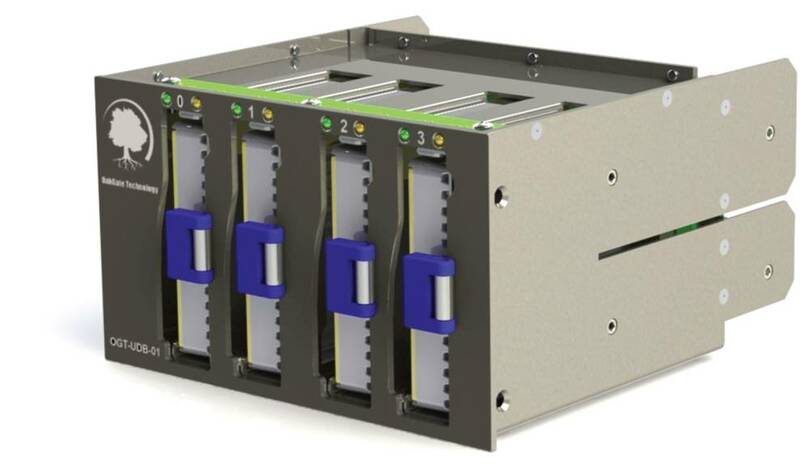 NVMe SSDs in the 4-Bay U.2 Plug-in module. concurrently within the 4-Bay U.2 Plug-In.